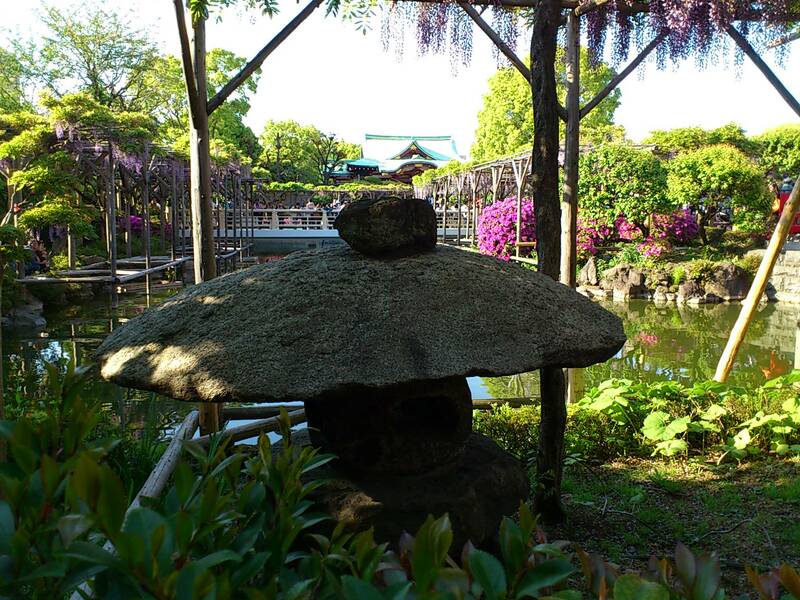 Yesterday we drove to 鎌倉 (Kamakura, Japan). We have been there many times but it had been awhile since we went there by car. I drove there because we wanted to see the autumn illumination (light-up) at the famous, beautiful 長谷寺 (Hase-dera Temple). At certain times of the year, the temple is lit up and it looks even more spectacular than usual. 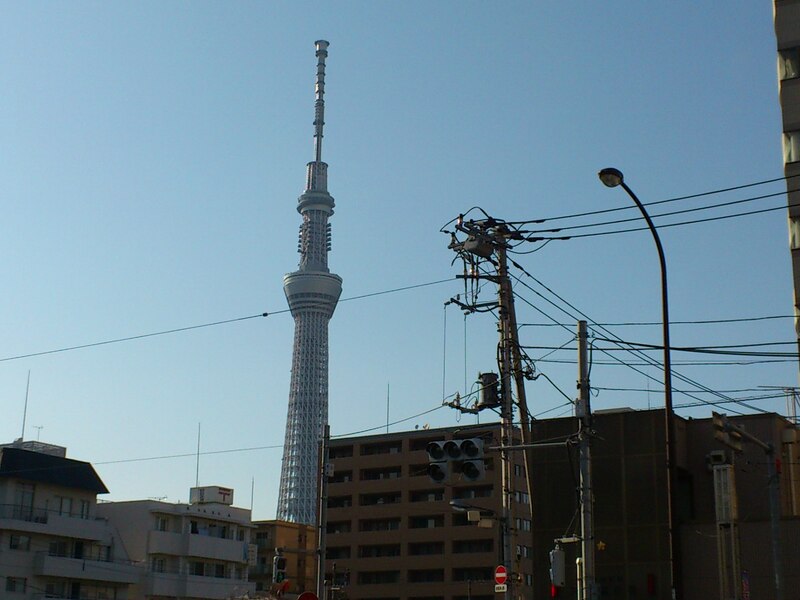 During our drive there and back, we could see Tokyo Tower, a beautiful sunset over Tokyo Bay and a clear view of Mt. Fuji. Tokyo Tower in my wife’s passenger side-view mirror. We could see Mt. Fuji clearly. This photo doesn’t do it justice! The city of Narita in Chiba Prefecture, Japan is usually associated with the international airport that is there. People not so familiar with Japan may think that Japan’s “Narita International Airport is in Tokyo…but Narita is a part of Chiba, which is near Tokyo. 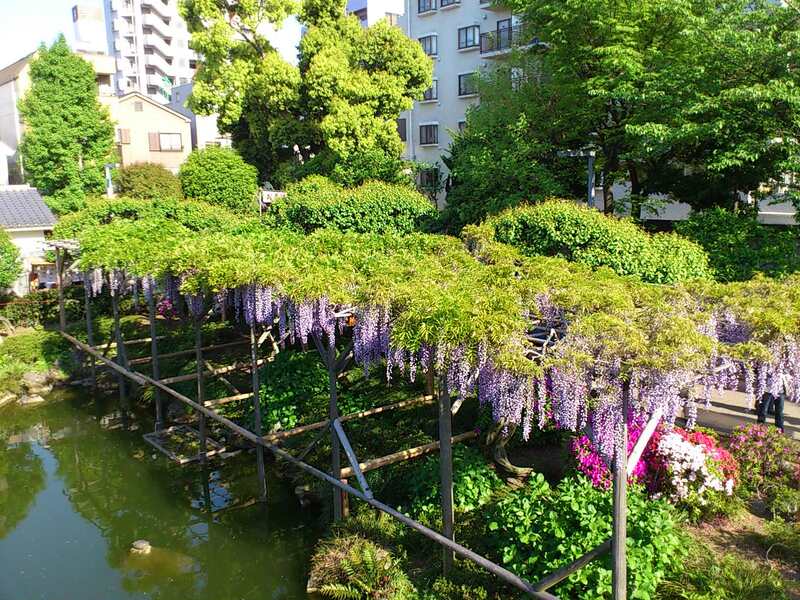 The airport isn’t the only reason to go to Narita City though. 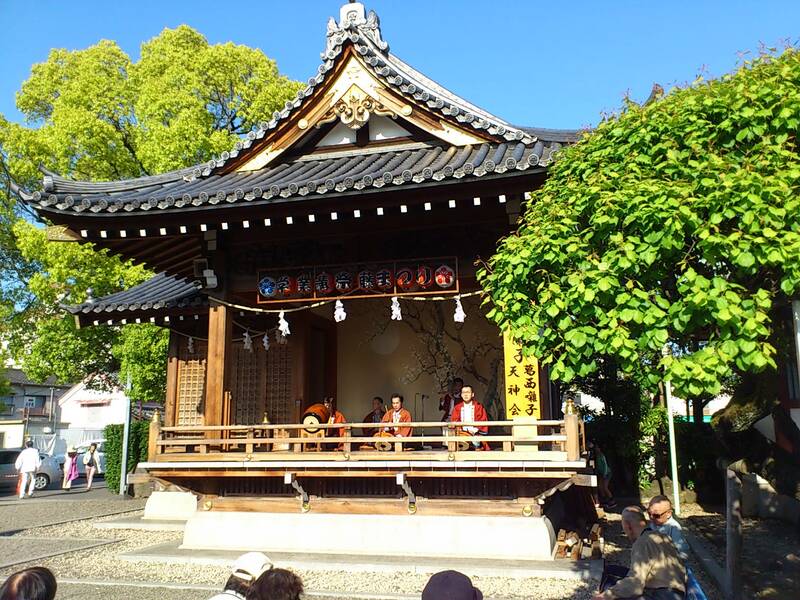 “成田山新勝寺 (Narita-san-Shinsho-ji)“ is a beautiful famous temple that has many wonderful festivals and events. 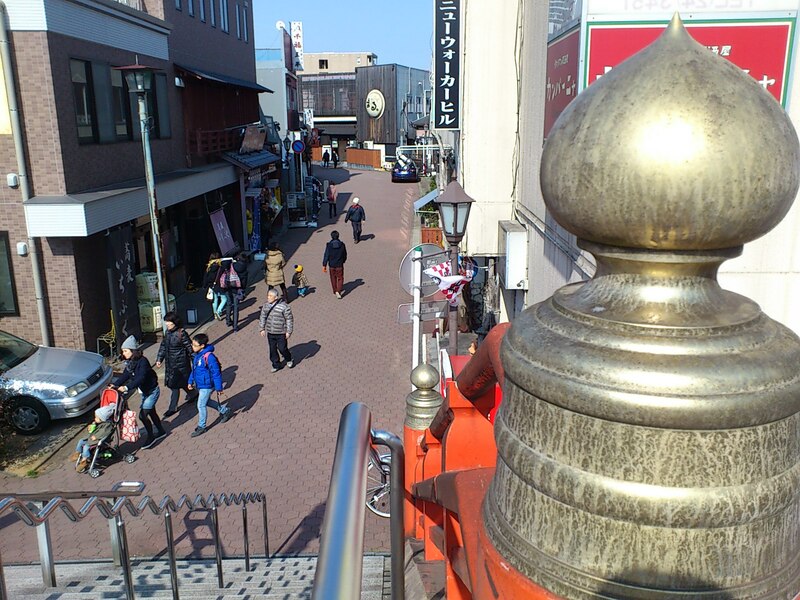 The area near the temple has many traditional Japanese shops and restaurants. 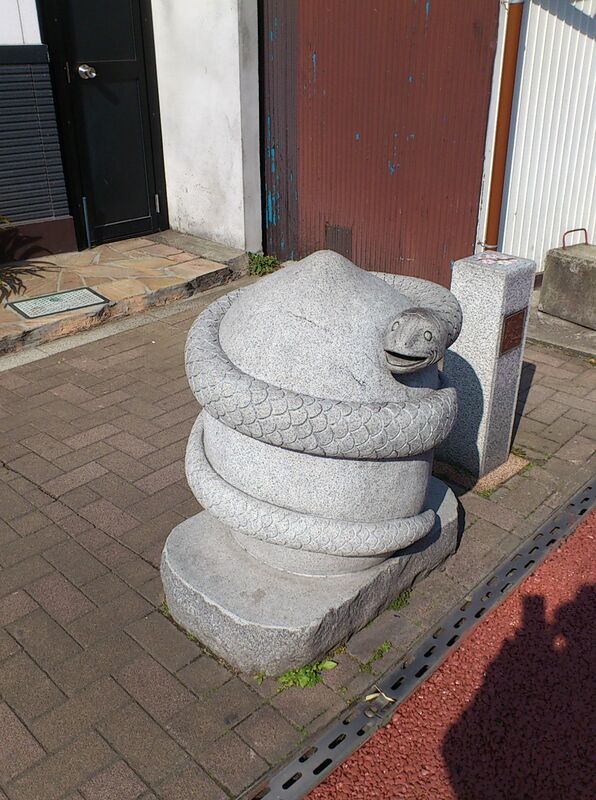 Narita is known for ウナギ (freshwater eel). There are a number of restaurants there that serve it…it’s delicious! 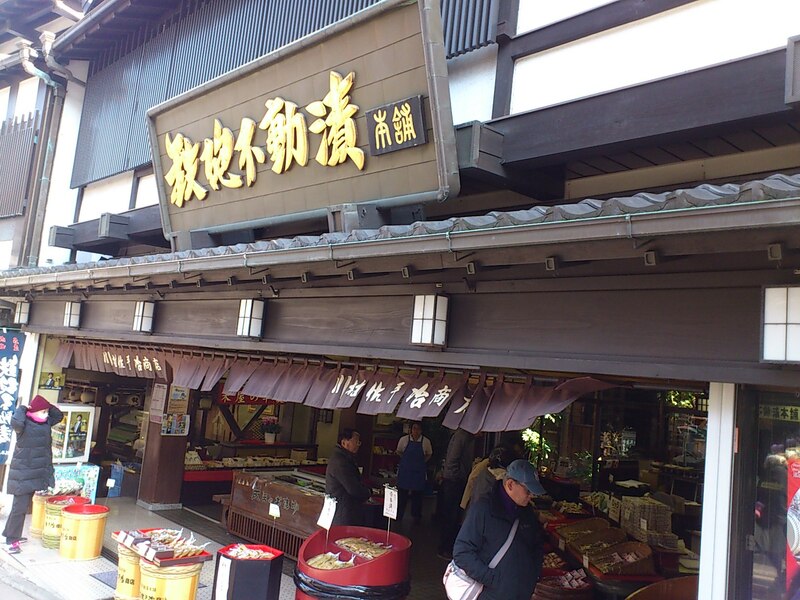 If you visit Narita, you should try it! Japanese children’s cartoon character “Baikin-man”. 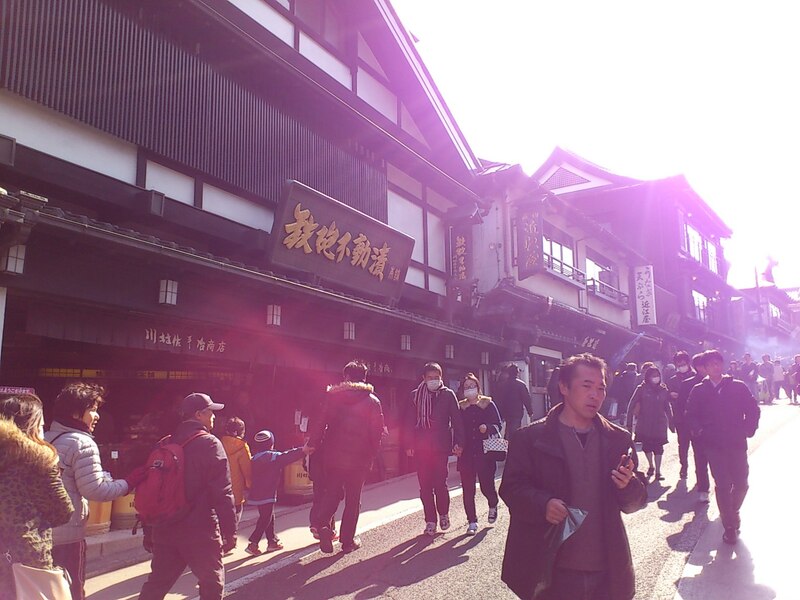 It says that Narita is “a traditional Japanese hospitality town”. These are “Daruma”…a traditional Japanese ornament most commonly seen at New Year’s time. 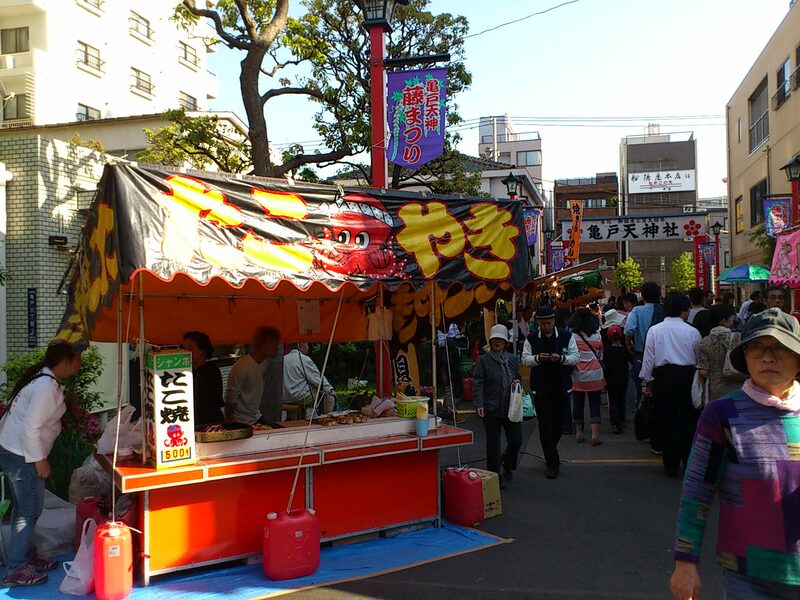 A 「たこやき」 (Grilled octopus dumplings) stand. The entrance to 「成田山新勝寺」 (“Narita-san-Shinsho-ji”) temple. A lion guard at the entrance to 「成田山新勝寺」 (“Narita-san-Shinsho-ji”) . A 「招き猫」 (Maneki-Neko lucky cat). The 7-Eleven store there has a brown sign to keep with the style of the area. Every December, a kanji (Japanese (Chinese) written character) is chosen that represents the biggest news of the year that is just ending. It’s called 「今年の漢字」 (“The Kanji of the Year“). Last Friday, the kanji of the year for 2014 was chosen. 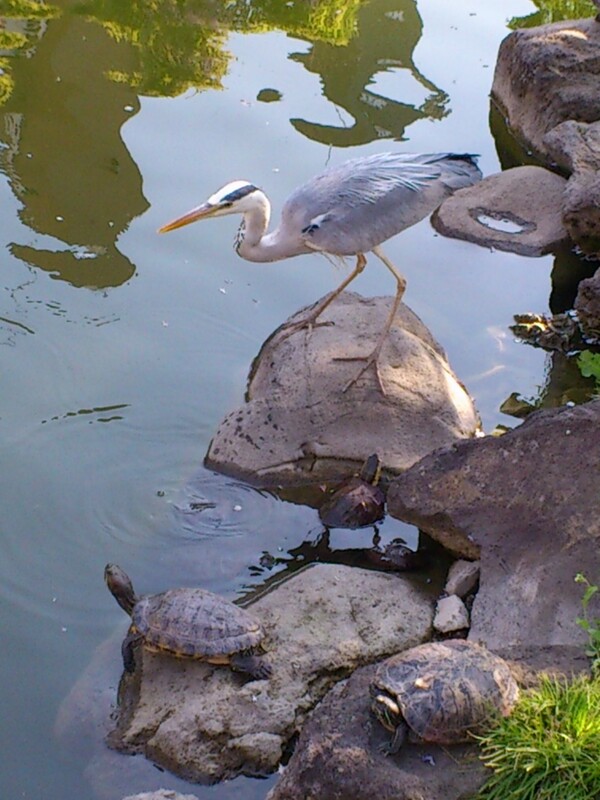 It’s 「税」 (zei) which means “tax“. 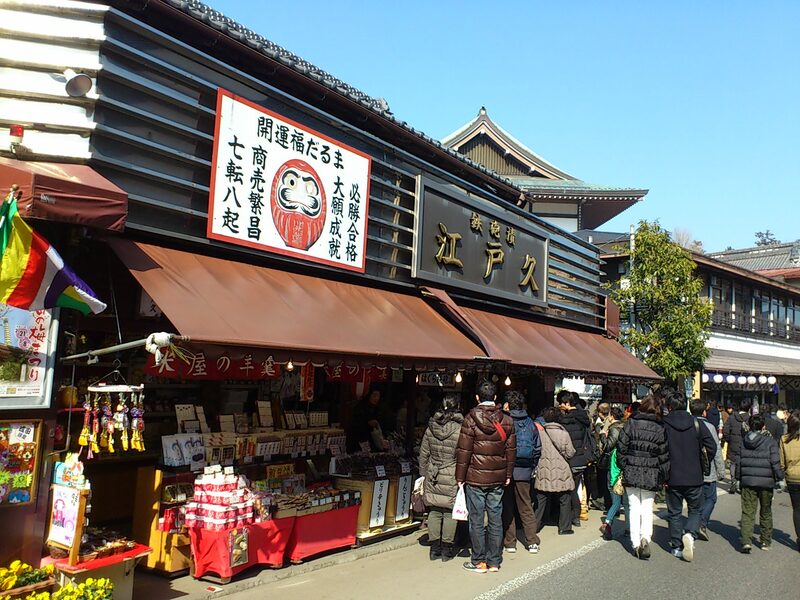 Every year, when the 「今年の漢字」 (“Kanji of the Year”) is chosen, it’s presented to the public at a special ceremony at a temple in Kyoto where the head monk writes the character and it’s broadcast on TV, newspapers and the internet. 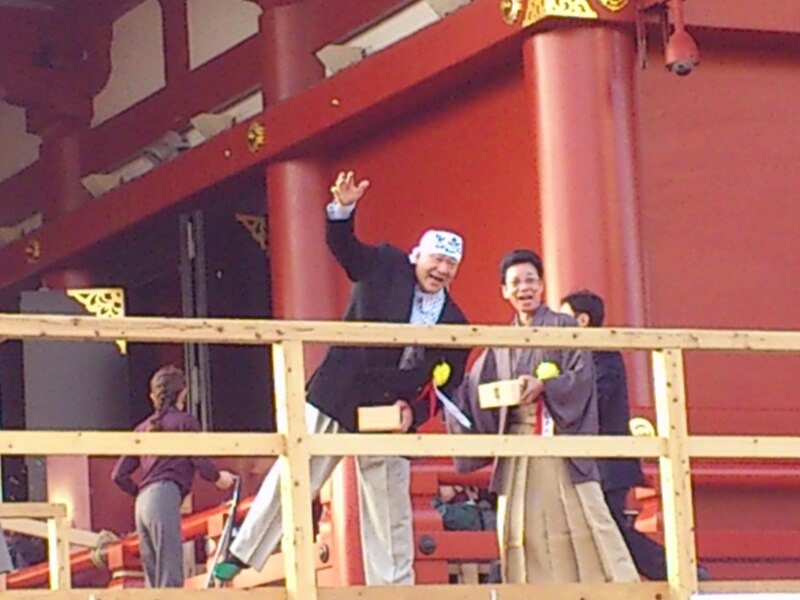 The Kanji of the Year (今年の漢字) for 2014 is 「税」 (“tax”). The reason that this character was chosen to represent 2014 is because the sales tax in Japan was increased this year for the first time in years. It stayed at 3% until 1997 when it was raised to 5% (that year, a law was also passed that the “after-tax” price must be shown on all products). Japan’s sales tax was 5% for seventeen years. It was increased to it’s current 8% last spring (thus the Kanji of the Year is “tax”). The Japanese government plans to increase the sales tax again next year (in 2015) to 10%! 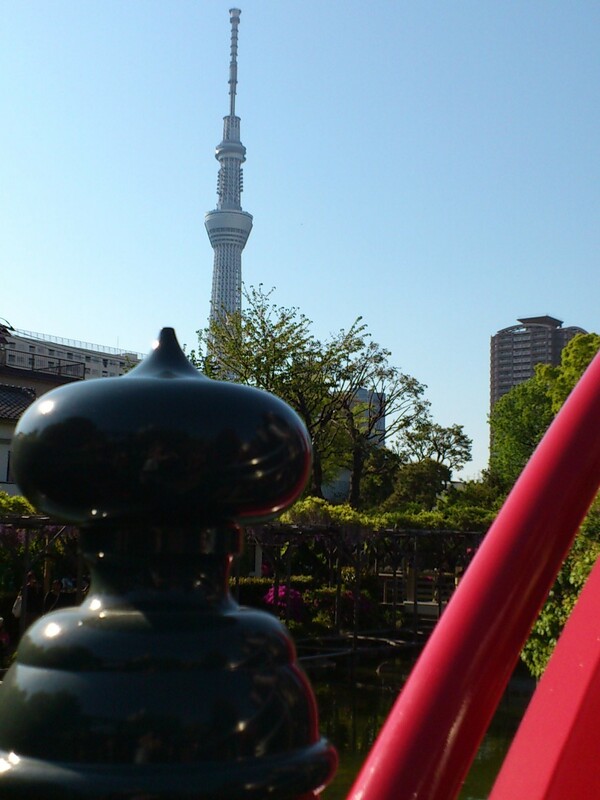 Last weekend we went to the Tokyo Sky Tree. (We didn’t go inside the tower. I have done that before). The Sky Tree is illuminated at night in various colors every evening. When we went it was lit up orange for the start of autumn. 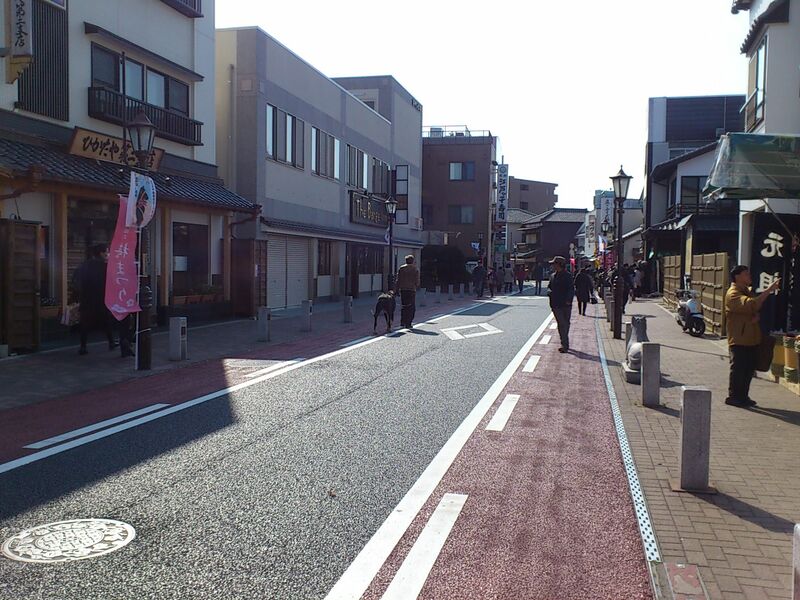 We did go in the adjacent 「空町」 (“Sola-machi“) (lit. “Sky City“) shopping center. Drinks in a traditional Japanese candy store. Japan’s “Hello Kitty” meets American rock band “KISS”. 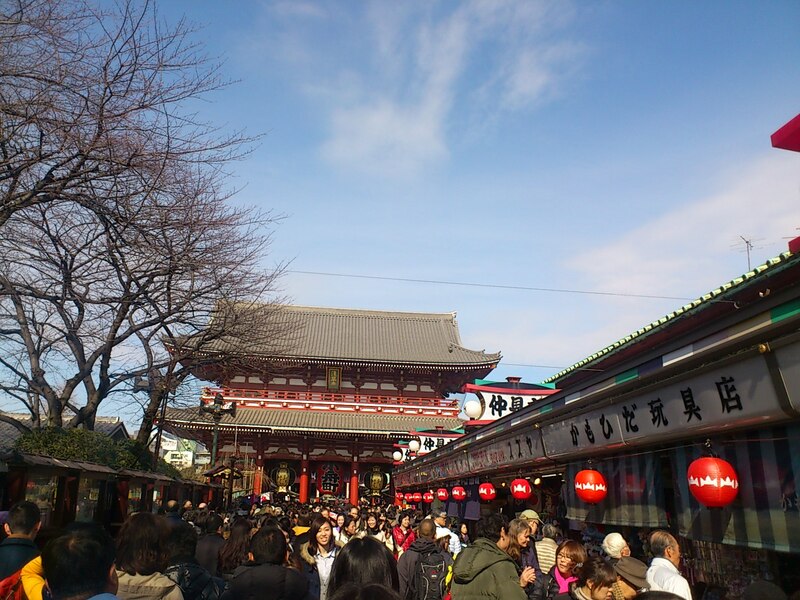 From there, we walked to the nearby neighborhood of Asakusa. 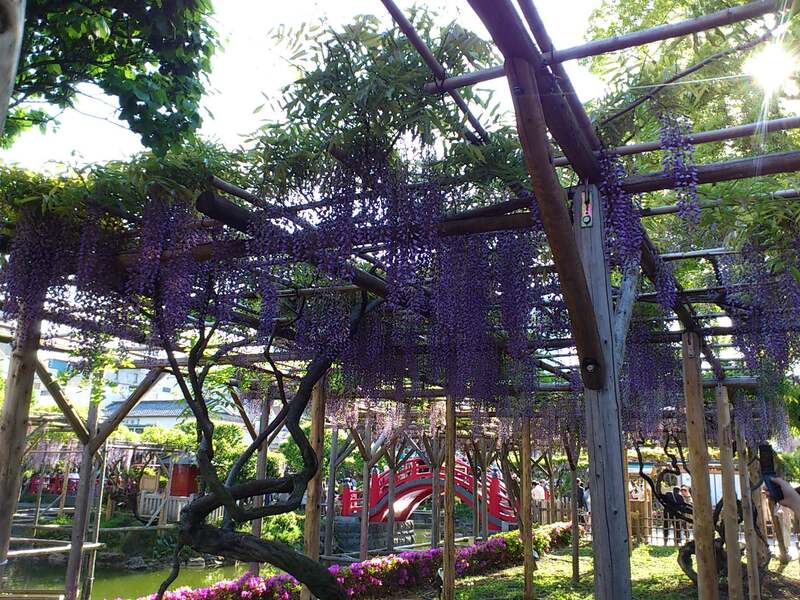 Last weekend, we went to a 藤祭り (Wisteria Festival) in Tokyo. 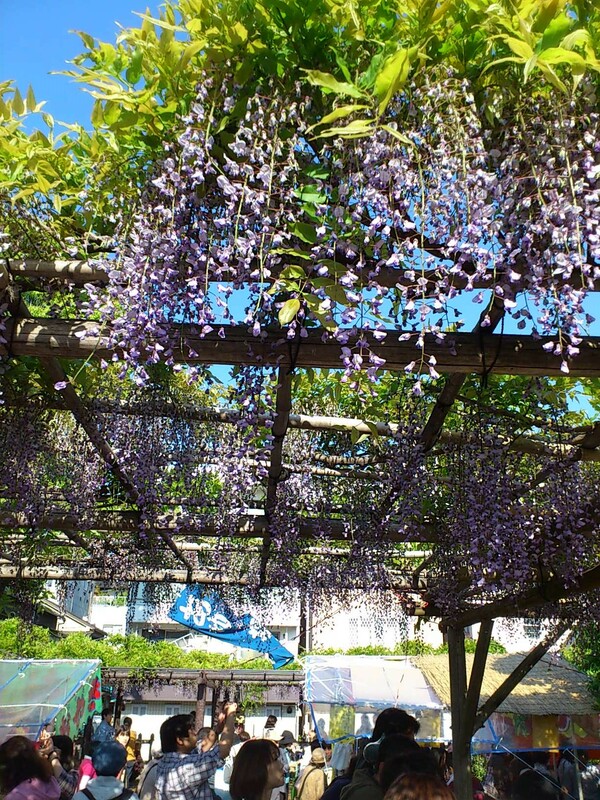 藤 (Wisteria) is a type of flower that is purple and blooms around this time of year. We also saw the new Tokyo Sky Duck bus. The Tokyo Sky Duck is a new bus service that just started in Tokyo last March. 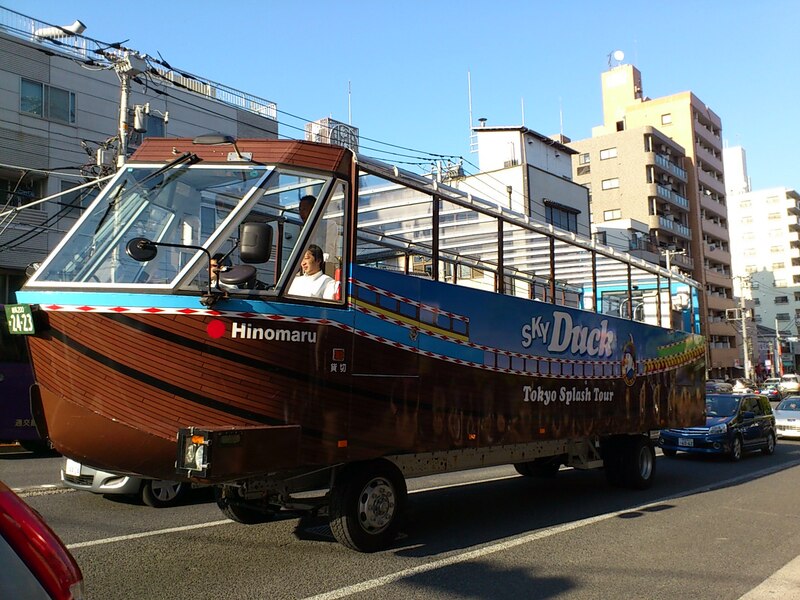 It gives passengers a tour of Tokyo both by street…and then by river cruise because it’s both a bus and a boat!